The study was published in early February. WASHINGTON – Crime and violence in Latin America and the Caribbean come with a hefty price tag – $261 billion, or about 3.5 percent of the region’s gross domestic product, according to a new study by the Inter-American Development Bank that analyzed the costs of police and prisons, private security and lost income of prisoners and crime victims. “Crime has reached alarming levels in many countries [in Latin America and the Caribbean],” said Ana María Rodríguez, the manager of the IDB’s Institutions for Development Department, in the release. Latin America and the Caribbean is the most violent region in the world outside of war zones, according to the study. Its homicide rate is 24 per 100,000 people – four times the global average. While the region has just 9 percent of the world’s population, close to one-third of homicide victims globally are from the region, and 90 percent of murders are never solved. The IDB undertook the study to help governments and other multilateral lending institutions better allocate resources and develop policies to reduce crime. The study, released in early February, compares crime costs in 17 countries and benchmarks them against those of six developed countries. It is the first study to gather comparative data on crime-related costs in the area. 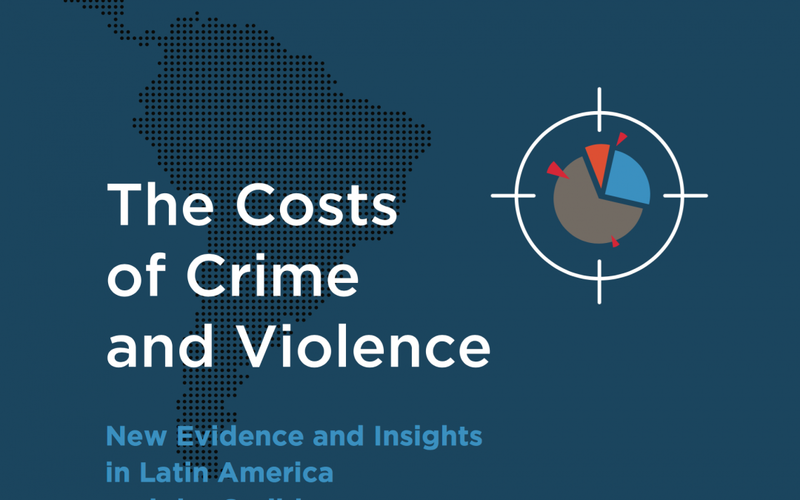 The crime-related costs varied greatly within the region, from 1.9 percent of Mexico’s GDP to 6.5 percent of the Honduras GDP. The costs of crime were broken down into three parts: public spending on security like the police force and prisons; private spending on security, including home alarms and camera systems; and social costs like the lost income of prisoners and homicide victims. Social costs were particularly high among youth, who make up 50 percent of the region’s homicide deaths. The study did not include costs like violence prevention programs, health expenses due to violence or stolen or damaged property. It also did not address costs like firms being less willing to invest and people moving from the region. The region has some of the most overcrowded prisons in the world, and almost 70 percent of inmates have been charged with a crime but not convicted, according to the study. Spending on the region’s prison systems almost doubled from $4.3 billion in 2010 to $7.8 billion in 2014.